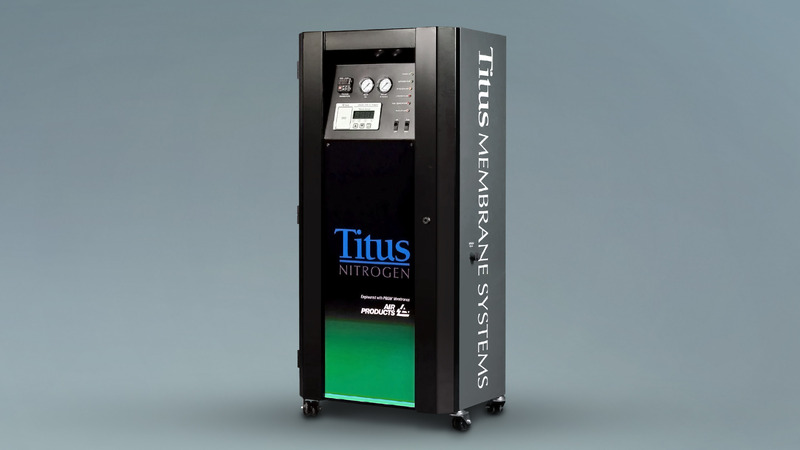 This product uses a membrane system to generate nitrogen for applications ranging from silicon wafer manufacturing to filling race car tires. Titus had been using a stock cabinet which offered little flexibility and required extensive and time consuming modification to mount all internal components. Phase One Design developed a modular sheet metal cabinet which provides attachment points for all components, improved serviceability, and provision for the addition of capacity.